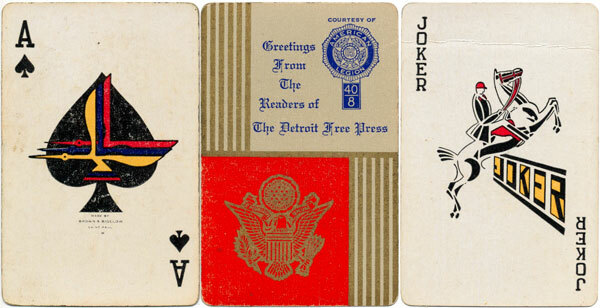 Brown & Bigelow of St Paul, Minnesota, was a leading producer of playing cards in the U.S. from the late 1920s - 1980s. 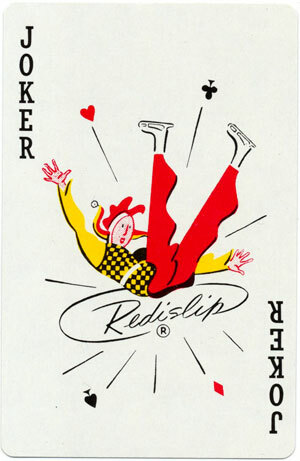 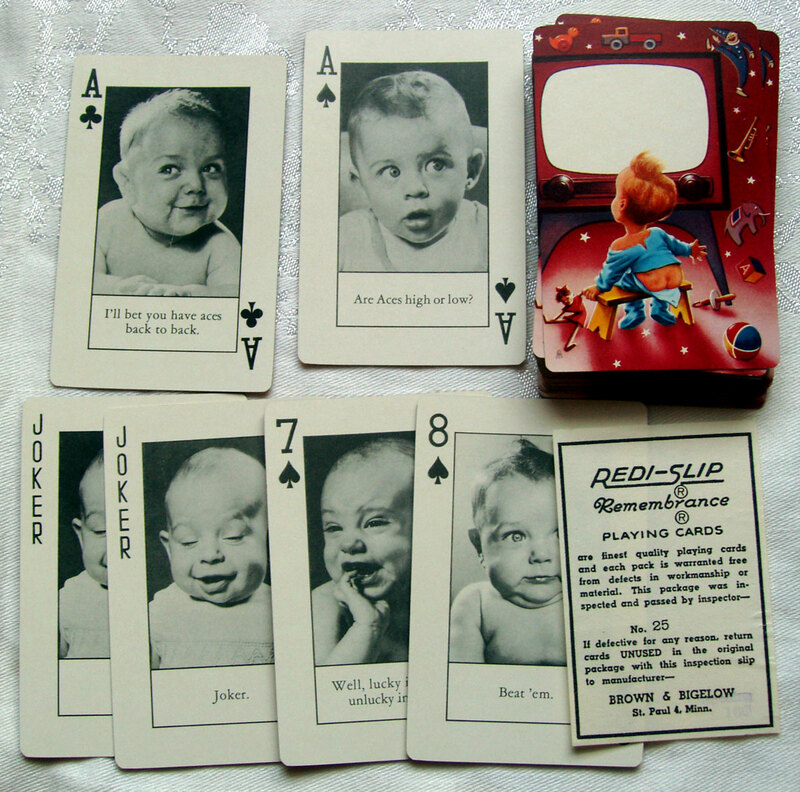 Brown & Bigelow manufactured playing cards under several brand names (Hoyle, Remembrance, Kent, Trump, Nu Vue), as well as novelty and advertising decks. 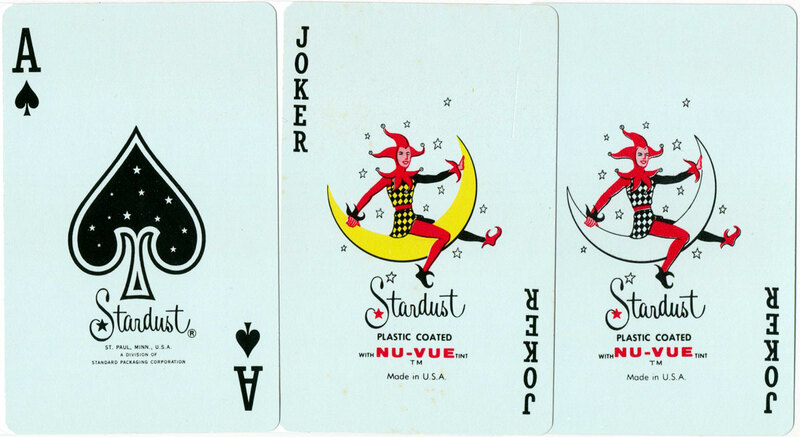 They also manufactured cards for the Nasco Playing Cards (Chicago), Miguel Galas (Mexico) and Stancraft Playing Cards companies. 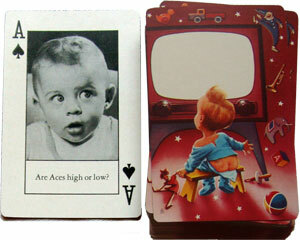 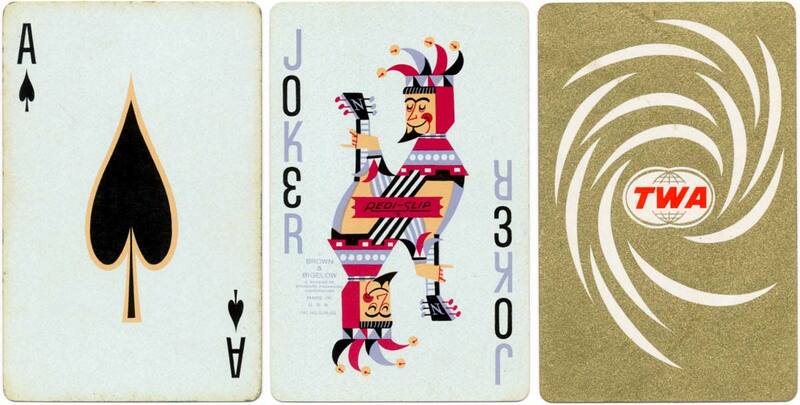 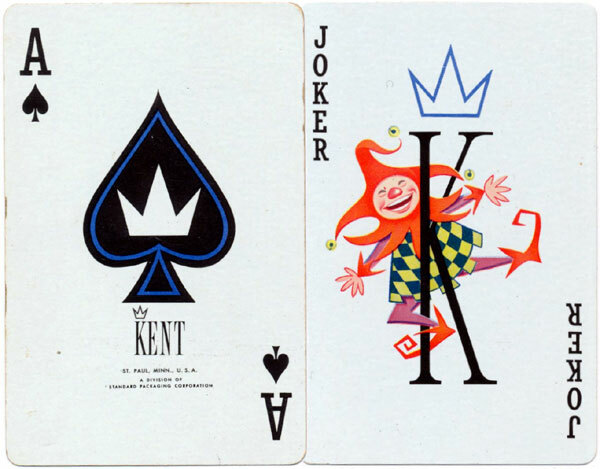 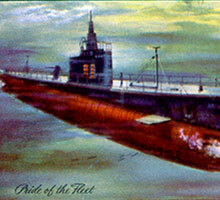 Above: Brown & Bigelow's most common ace of spades and joker c.1945-1980s. 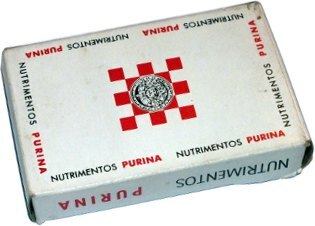 An agreement had been made with Spicers (Australia) to provide modern production techniques. 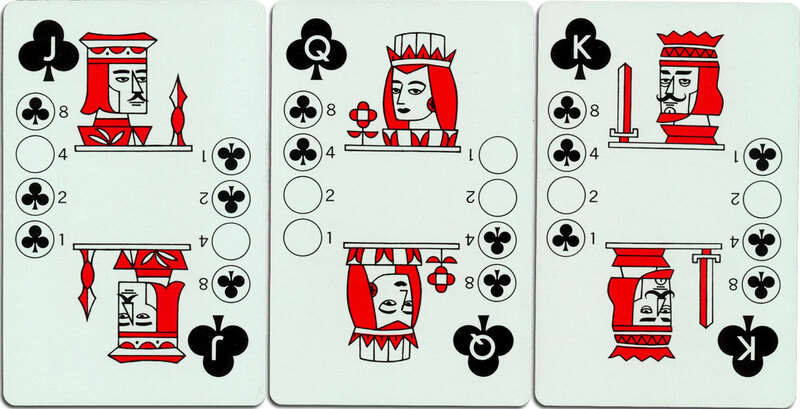 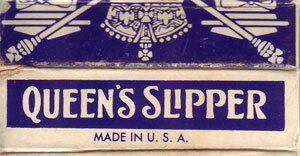 Brown & Bigelow also printed some Queen’s Slipper decks in the 1979/80 period. 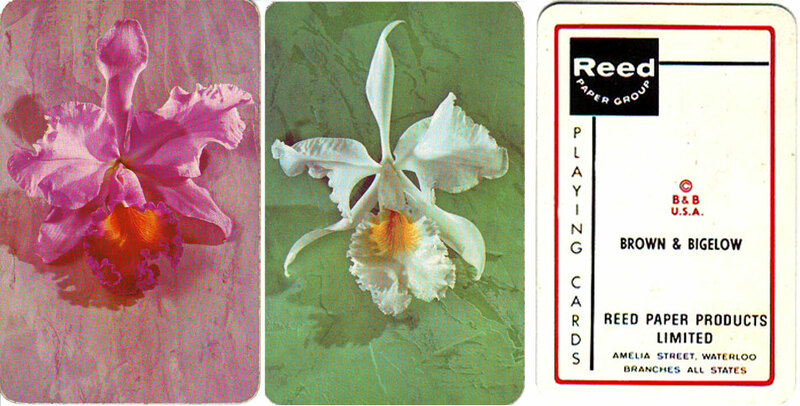 Earlier in the 1970s they lent some designs to Reeds (Australia) for them to print see here. 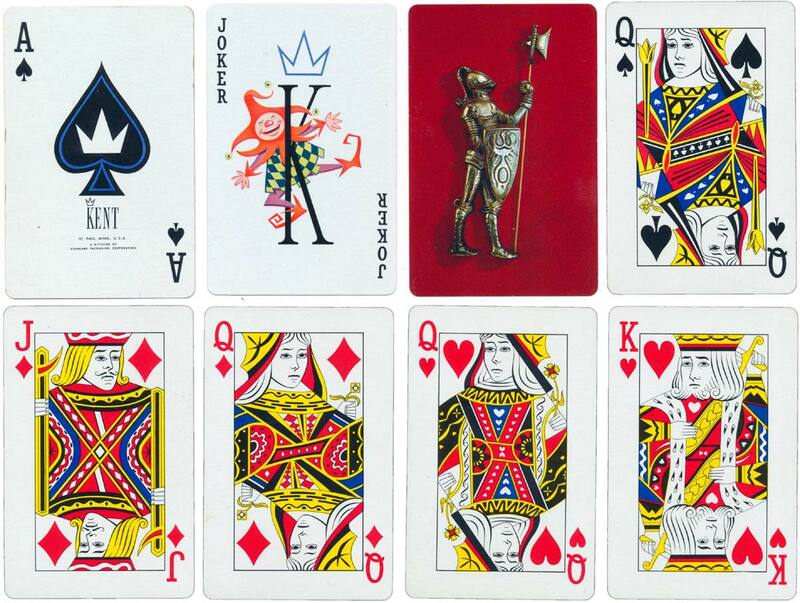 Brown and Bigelow also printed decks for James Hardie Spicers in 1980-81. 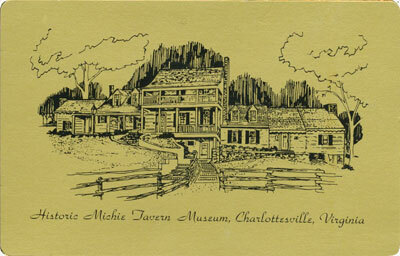 A subsidiary of Brown & Bigelow was established in 1927 to bring Hoyle products to the retail market. 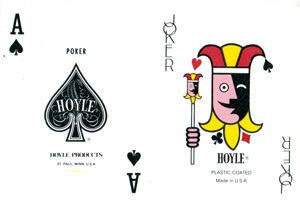 After 1975 the division’s name was changed to Hoyle Products. 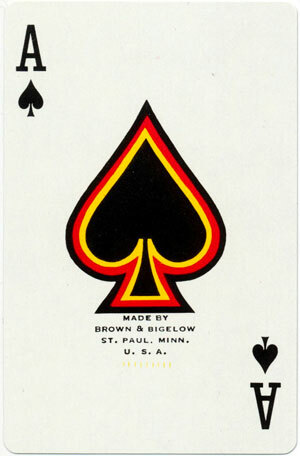 In 2001 The United States Playing Card Company acquired Brown & Bigelow’s playing card division, including Hoyle brand playing cards and computer products.